It is with deepest sadness to announce the plan to get the signatures of these players and officials is ABORTED. Because these two posters are LOST.... What a pity. 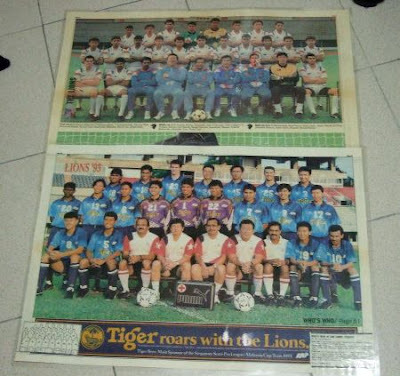 Last seen at Yishun stadium on the 20th July 2008, these two posters were placed and stored in a brown circular hardboard tube-roll, with one end of it covered by a plastic carrier secured by a rubber band. The following day (which is TODAY - 21st July), I decided to call Yishun sports hall (above: picture credit "sha-stallion")to inform this mishap. Less than an hour later, one of the officers in charge of the Yishun sports complex called and said, "Hello, is this Mr Ko? 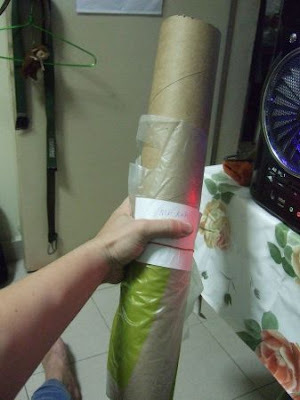 We found your posters!!!" Man, can you imaging what I happy I was when I got the news? Many thanks to Mr Teo, who called and informed me the good news, and the SSC staff at Yishun Sports Complex for the help in retrieving these priceless posters.